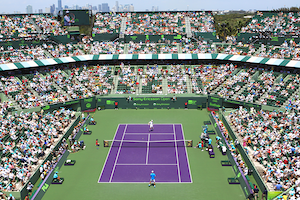 Tag Archive | "Bank of the West Classic"
The women U.S. Open Series final at the Bank of the West Classic featured 2007 Wimbledon finalist, Frenchwoman Marion Bartoli, ranked 15th in the world, against Canadian qualifier Aleksandra Wozniak. Although this was Wozniak’s first career final, she showed no signs of anxiety, easily beating her more experienced challenger 7-5, 6-3. After blowing break chance opportunities early in the first set, Wozniak found herself in a hole down a break at 3-4. The 20-year-old Canadian did not panic and got things back on serve on the subsequent game. After exchanging breaks of serve, Wozniak held to take a 6-5 lead. Then, she went on to break Bartoli to carry the first set. In the second set, Wozniak broke early on to take a 3-1 advantage. After getting treatment for a left hip injury, Bartoli resumed the match despite her motion being hampered. Playing against a limping opponent can be a challenge, but Wozniak maintained her focus and did not allow her rival’s ills affect her own game. Serving at 4-2, Aleksandra went down 0-30, but quickly recovered to win the game. Subsequently, after being unable to close out the match on Bartoli’s serve, Wozniak stayed calm and closed it out at love on her own. Dealing with injured opponents seemed to have been a theme at this tournament for Wozniak. 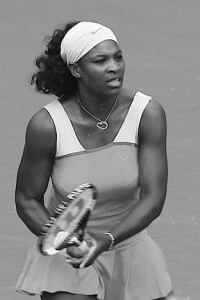 In the semifinals, Serena Williams, the top seed, retired with a knee injury with the Canadian up a set and a break. With this magnificent result, Wozniak, currently ranked 85th, will see her ranking shoot up in the top fifty. With a strong backhand and a game with great room for growth, this may be the first of many titles for this Canadian.